Comprehensive medical insurance describes health insurance that provides coverage for most types of medical expenses. If you are not eligible for Medicare, you may be fortunate enough to be offered health care insurance through your employer. If not, you have a few choices to make and in order to make a better decision, Adler Insurance, your health insurance specialists in Prescott, would like to explain some of your options. Costs: With comprehensive health care insurance, you’ll be required to pay premiums, deductibles and co-pays. You pay monthly premiums and, in addition, many policies have deductibles which must be met before the policy provides benefits. Finally, whenever you receive health care services, you may need be required to pay varying amounts, called "co-pays," for services you receive. Classifications: There are two general classes of comprehensive medical coverage: "Group" and "Individual." You may have a group plan sponsored by your employer, union or professional organization. Group plans typically provide the most benefits at the lowest price. Insurance companies also sell individual plans directly to the public. Individually purchased health insurance usually is more expensive and provides fewer benefits. FFS - Fee-for-service plans provide the most options, allowing you to use any provider you choose. However, purchasing these plans on the open market can be expensive. 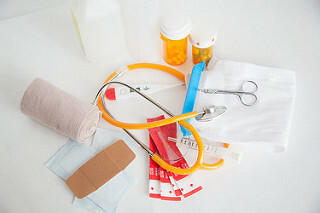 HMO - Health maintenance organizations both insure and deliver health care. HMOs are the least expensive but most restrictive plans. You must live in an HMO's service area to join. In addition, all of your healthcare must approved through a single primary care physician. All referrals to specialists must be through the primary care physician as well. PPO - Preferred provider organizations are more expensive than HMOs but less restrictive, meaning referrals are generally not required. POS - Point-of-service plans combine an HMO with a PPO and let their members decide which benefits to use. Cost and restrictions tend to average out between the HMO and the PPO models. Choosing the right comprehensive health insurance coverage is a decision that can be difficult to make without the help of a professional who understands the various coverages offered. If you need to purchase comprehensive health insurance in Prescott and don’t know where to start, give the experts at Adler Insurance a call at 928-710-1455.